They also participate in annual events such as the Annual Awards Banquet, various Law Enforcement related meetings in the area and many other functions. Honor Guard Officers serve as liaisons and peer/family support when attending funeral services for police officers who have fallen in the line-of duty. The Honor Guard participates in the Annual Orange County Peace Officer Memorial Services held in Santa Ana, the California Memorial Services held in Sacramento and the National Peace Officer's Memorial Services held in Washington D.C. in May of each year. These services are held for Peace Officers killed in the line-of-duty from the previous year. The Irvine Honor Guard not only participates in these services but also performs an important role as facilitators for the various events such as the Walk Of Honor, Wreath Ceremonies, Candlelight Vigil, and the Flag Ceremony. The Irvine Police Department Honor Guard have been continually recognized for their outstanding efforts, their distinctive uniforms and their outstanding performances adding to the quality of many events. The Honor Guard is under the direction and command of Lt. Matthew McLaughlin. 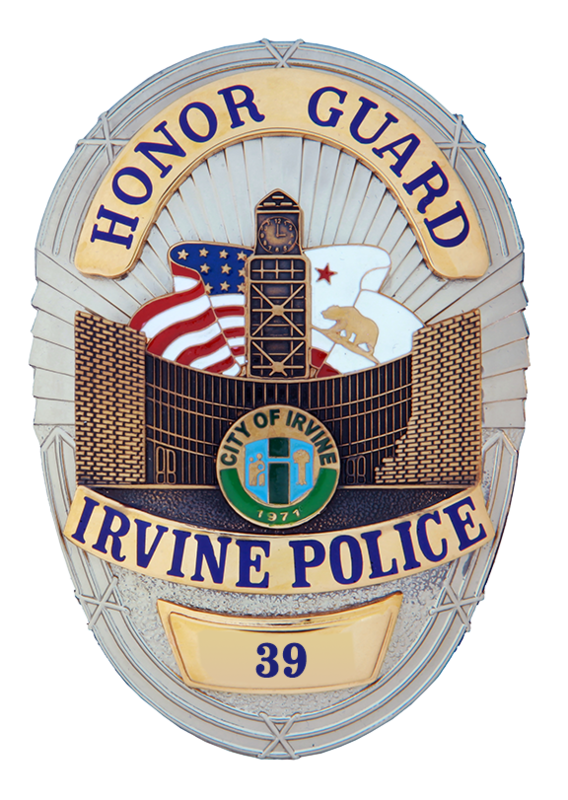 If you have questions about the Irvine Police Honor Guard, please contact Lt. McLaughlin at 949-724-7156 or by email.